Fifth graders from the Madeleine Choir School in Salt Lake City marched several blocks in the snow from their school to the Capitol demanding cleaner air. More than a dozen of those students asked lawmakers to pass legislation that would improve overall air quality. Peter Stokes was one of those 5th graders. He says he doesn’t like when he and his classmates are forced to stay inside for recess on days with poor air quality. Students from the Madeleine Choir School, the Salt Lake Arts Academy and other schools called on state leaders to provide tax incentives for electric vehicles and energy efficient homes as well as tighter restrictions on industrial polluters. They pointed out that regular people could do their part by turning off vehicles rather than idling, carpooling, and turning down the thermostat at home. Salt Lake City Mayor Jackie Biskupski was there supporting the students. She spoke to legislators on their behalf. Several lawmakers watched the rally from balconies in the Capitol. Democratic Representative Patrice Arent applauded the kids’ efforts. Arent co-chairs the bipartisan Clean Air Caucus, which is supporting over a dozen bills regarding air pollution this legislative session. 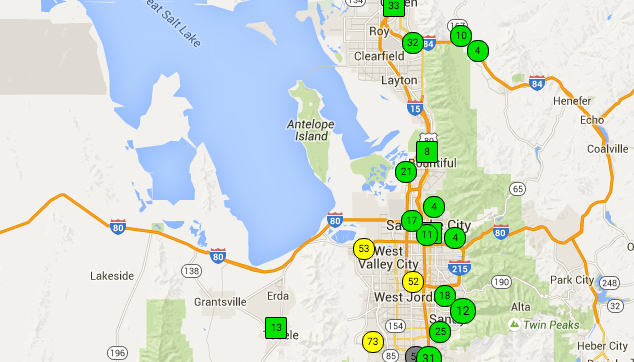 The fight over dust from a Salt Lake Valley gravel pit has produced a new network of air-quality monitors all along the Wasatch Front. 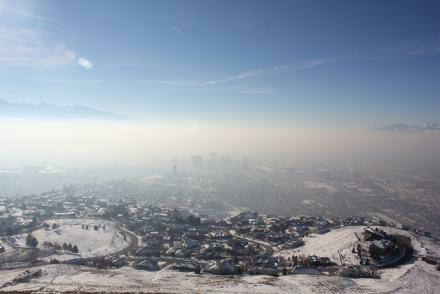 Pollution levels in the final days of 2015 could sway federal regulators who are thinking about a pollution crackdown in northern Utah, while environmental groups say the cleanup should be tougher and faster.